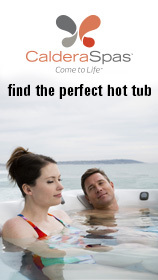 1 Stop Spas is the one stop shop for supplying luxury, affordable hot tubs in Lincolnshire. 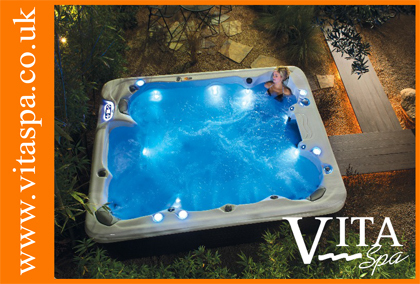 We supply high quality hot tubs and spas from major manufacturers such as Marquis Spa USA, Vita Spa USA, LA Spas and Nordic/Cove USA at very competitive prices; in fact, we will better any genuine 'like-for-like' price on the same or similar product! APS Pool Contracting provides the complete specialist swimming pool service to the Leisure Industry and the Public and Private Sectors throughout the UK. Visit us at our new showrooms for Pools, Spas, Saunas, Steamrooms, Chemicals, Spares and Accessories. Comprehensive nationwide coverage. From our Sheffield base in Yorkshire, we’re proud to serve domestic and commercial customers across the UK. We’ve even worked in Europe, including a previous pool project in Spain. Don’t be afraid to ask – find out how far we’ll go to make your dreams a reality. 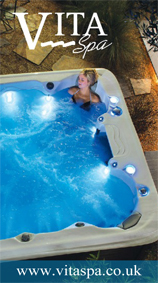 Aquaflames Spas, located in Potterspury – Towcester, are the exclusive retail outlet for Hydropool and Vita Spa Hot Tubs and Swim Spas. We offer a full installation service as well as associated buildings and enclosures. Our experienced installers also provide maintenance and service contracts for all of our products. Check with us for latest offers. Bay Spas Hot Tubs and Swim Spas was established in 2003 as a sister company to our family business Woodstock Windows Ltd. We have a number of different ranges of spas or hot tubs on offer for people in the South West region, ranging from value right up to the top of the range. We specialise in indoor and outdoor swimming pools, hot tubs, saunas, spas, steam rooms, salt rooms, ice rooms and laconiums. We also supply all associated accessories and treatments. At BOS Leisure we specialise in indoor and outdoor swimming pools, hot tubs, saunas, spas, steam rooms, salt rooms, ice rooms and laconiums. We offer standard designs or create custom built facilities – from the smallest DIY kit to large commercial installations. We also supply all associated accessories and treatments.